Back in October I reviewed Vera Nazarian's Cobweb Bride, the first in a trilogy set in an imaginary pocket of Europe during the Renaissance. I absolutely loved book one, awarding it four blunt pencils, and managed to get my mitts on Cobweb Empire, its follow-up. 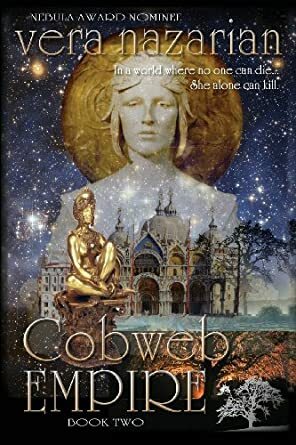 I've had book two on my Kindle for some time, but I'll admit, the release of the final book, Cobweb Forest, gave me the kick up the bum that I needed to read it. As with book one, Cobweb Empire tells the story of Percy Ayren, the ordinary village girl from northern Lethe, only now Percy isn't so ordinary. During book one, death stopped entirely while the Reaper searched for his Cobweb Bride, and the dead were forced to keep going in whatever state they were in at the point of 'death'. By book two, things are getting worse, and entire sections of the world are simply disappearing. After an audience with the Reaper, Percy's now been granted the ability to give the dead a final ending, reuniting their broken bodies with their souls. In a world where no one can die, such an ability is obviously highly prized, and many people see the value in having Percy in their custody. Trouble is, Percy needs to be elsewhere, still tasked with finding the Cobweb Bride, so off she goes, accompanied by handsome knight Sir Beltain Chidair, to find her. While Percy's having adventures throughout both the Realm and the Domain, a host of other characters are also exploring the extensive world created by Nazarian, be they the terrifying Sovereign of the Domain, hell bent on conquering the Realm, or the dandyish duo, Lady Amaryllis and Lord Nathan, held captive in a northern dungeon. 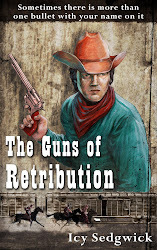 There is plenty going on to keep the narrative ticking along at a smart pace, and being book two, Cobweb Empire has the luxury of being able to hit the ground running. Having read the Kindle version, I think I read at least 20% of it in one go. As ever, the characterisation is spot on (although I'm not sure that eyes need to be constantly described as being 'liquid'), and it's easy to root for Percy. Grial the witch makes more of an appearance in this book, and she's a wonderful character who reminds me a lot of Mrs Weasley from Harry Potter. I was pleased to get to know Lady Amaryllis more - she was a little stereotypical in book one but she shows real wit and ingenuity in book two, as does Nazarian herself. The world she has created is an extraordinary one, packed with inventive details. I thoroughly enjoyed it! It won't make much sense if you haven't read book one, but I'd highly recommend that you buy both and read them back to back. It also baffles me why Hollywood keeps making remakes when it could be adapting something like this for the big screen. Hopefully HBO might take the hint! 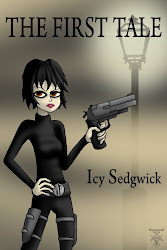 You can buy Cobweb Empire from Amazon for both Kindle and paperback, or for other e-readers from Smashwords.